Boots provides you with anything you need to take care of your body and appearance, with products ranging from health and beauty to medicine and electronics. When you urgently need to get a refill on your vitamins or simply buy a new bottle of your favourite shampoo, going straight to a Boots store is not always possible. Do you need to urgently receive your prescribed medicine? Say goodbye to rushed trips to the shop near closing time, choose Pinga for your next order. Our app is meant to turn buying any Boots products you require into a simple and stress free task. Access your pharmacy in just a few taps or replace your makeup with something new from the comfort of your home. Pinga is here to help you purchase anything you wish. Download the app today to start buying amazing products at convenient prices in only a few steps. Send your product request to our trusted team of Pinga Partners and let them take care of everything. They will immediately reply to your message and clarify every detail before having you pay for your order. Everything happens within the app, with no minimum order amount required! Feel free to only buy one mascara or nail polish without feeling forced to add more products to your order. Our professional network of Pinga Partners will help you with anything, and every payment is carried out safely over the app. Before you know it, your Boots delivery will have arrived to your door. Start revolutionising the way you buy products from your favourite stores, choose Pinga for shopping experiences that are easy and quick. Below you can find out more about the service and how the app works. Pinga delivers any items from Boots today. 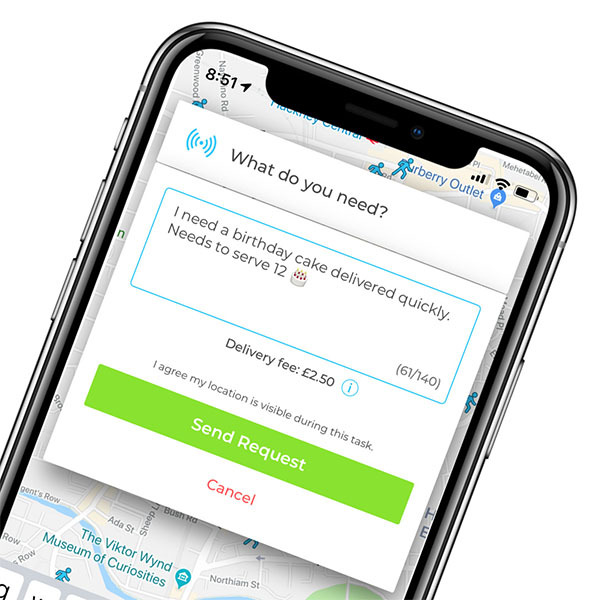 Infact our service normally delivers within an hour, so if you’re looking for same day delivers from Boots, send your request via the Pinga App. Describe what items you needs to be delivered from Boots and send your request. Pay securely within the app and receive your Boots items to your door!